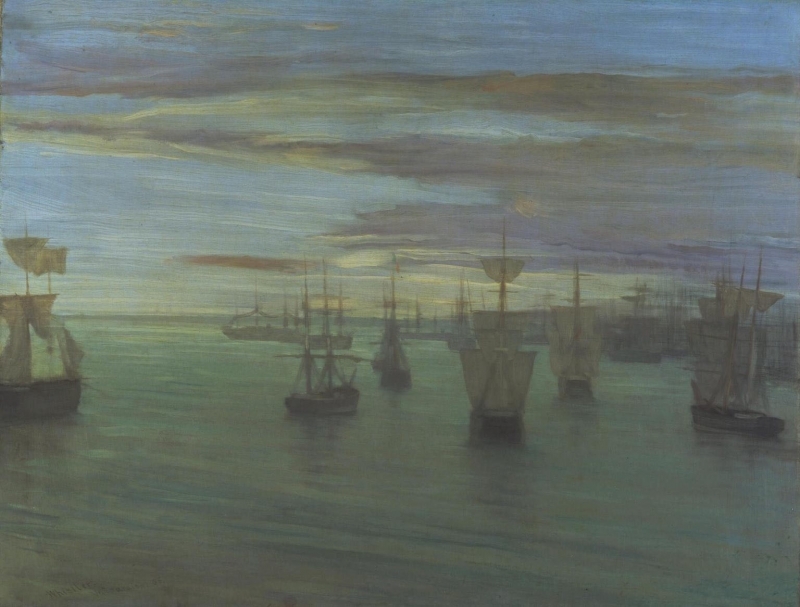 As Whistler told the Pennells, 'I made good use of the time, I painted the three Valparaiso pictures that are known and two others that have disappeared', this being one of 'the three Valparaiso pictures that are known.' 2 The other two are Symphony in Grey and Green: The Ocean [YMSM 072] and Nocturne in Blue and Gold: Valparaiso Bay [YMSM 076]. 1: YMSM 1980 [more] (cat. no. 73). 2: Pennell 1921C [more], p. 43. 3: Notebook, [February 1866/January 1867], GUW #04335. 4: Pennell 1921C [more], p. 42. 5: Tate Britain website; see also Sutherland 2008 [more], and Sutherland 2014 [more], pp. 95-97.